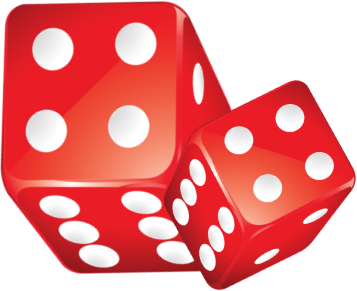 With over 2000 varieties of Dice, the Dice Emporium is one of the most comprehensive sources on the internet to buy dice. We sell RPG Dice, D&D Dice, large dice, small dice, novelty dice, animal dice, polyhedral dice, language dice, round dice and more. WHETHER YOU ARE LOOKING FOR BASIC SIX SIDED DICE OR TO BUY DICE TO MAKE YOUR GAMING FRIENDS JEALOUS, WE HAVE IT ALL. We offer dozens of polyhedral dice sets. Most of these dice are also available for purchase on an individual basis in case you need “just 1 more 20 sider” or are looking to replace a missing die. We carry all of the most popular polyhedral dice, be sure to check out our Chessex Dice Sets and Koplow Dice. We also stock animal dice for a unique twist on the traditional die. Our novelty dice category contains a large variety of unique dice like “Days of the Week Dice”, “Continents Dice” and ” 7 Virtues 7 Sins Dice” to name just a few. We are constantly adding additional dice so be sure to check back often. Be sure to look at our “Dice on Sale” category for great dice at a special price. Just sit back, relax and peruse our site. You’ll see dice you never knew were available. Check back often as we add new dice on a frequent basis!